Ice sculptures have always been a staple at weddings. 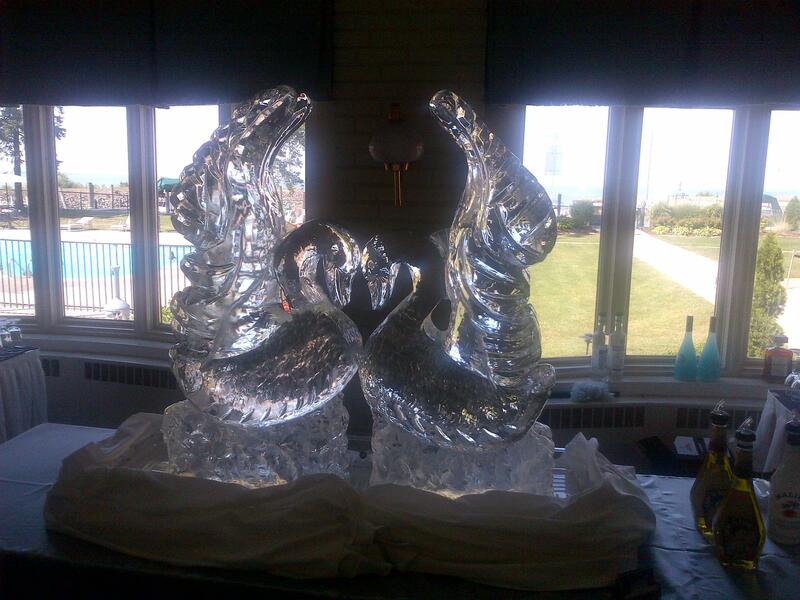 Brides love ice sculptures as they create focal and talking points at weddings. While most ice sculptors are professionals with years of experience and the right tools to help them carve the perfect sculpture, you can make your wedding experience more interesting and memorable by attempting to create the ice sculpture on your own. Usually, couples love swans, Cupid with all his regalia, or a pair of roosting swans and entwined hearts or wedding rings. You can stick with these designs or come up with something that holds special meaning for you on your big day. You are limited by only your imagination, but the more complex the design, the more work will go into creating the ice sculpture. The size too varies nowadays. Earlier the trend was to have a single large sculpture as the focal point. However, this is gradually giving way to centerpieces, with couples preferring miniature ice sculptures on each table. Once again the choice is yours and you can opt for a large one, several small sculptures or miniature ice sculptures. You can use professional ice molds to make the ice sculpture of your choice. Get a mold that can give you the sculpture size you are seeking. Make sure you use distilled water for forming the ice in the mold. It will give you a flawless and clear sculpture. Pour the water into the mold, but leave 2 to 3 inches from the surface of the mold, as the water will expand after freezing. If you want to create a colored ice sculpture, use colored water. Alternatively, you can wait until it is partially frozen, and then add colored water. It will give your ice sculpture a dual tone – clear and colored. Place the mold into a freezer and let the water turn into ice. You may have to use a wood chisel and knife to smooth the edges after you remove the sculpture from the mold. Once the mold sets, you are done. If you have the time, patience and skill, you can attempt to carve your own ice sculpture. This can be tedious and painstaking, but the end result will be worthwhile. Use a clear block of ice. You can do this by getting ice made from distilled water. Use wallpaper to draw the design and place the cut paper design on the block. Don on a pair of thermal gloves to prevent your hands from freezing and then top them with a pair of rubber gloves. Bring out a small chainsaw and cut around the wallpaper to get rid of the extra ice. Once the surplus ice is gone, use different sized wood chisels to tap lightly on the ice to smooth out the lines. Use pressure once you know the ice won’t crack. If you want to create a straight line, stick a metal ruler into hot water and place it on the carved ice. Creating ice sculpture for your own wedding could be a wonderful idea. Besides, you can gift an ice sculpture on your sibling’s or best friend’s wedding. Their heart will melt for you. So what you are waiting for! Hurry up and gift them.